By 9am yesterday morning I was on a bus winding along the Croatian coast to Korcula Island. 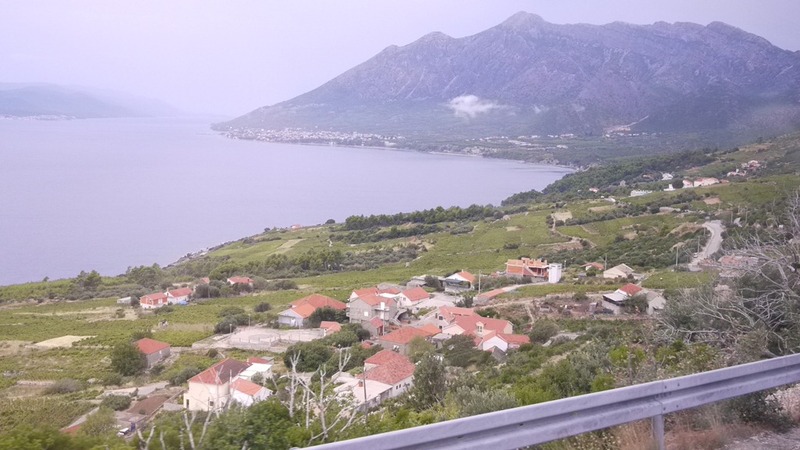 Rocky hills undulated along the seaside, hiding quaint red-roofed towns that seemed to have it all figured out: vineyards, Adriatic Sea views, peace and quiet. 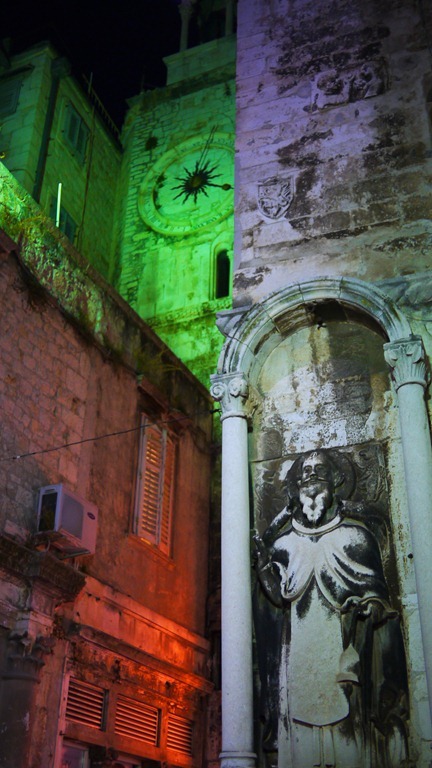 I arrived at Korcula bus station by noon to find my transfer had forgotten me. After an waiting an hour under the gossiping eyes of local women, I called the hostel and was told, ‘oh yes, I’ll come get you now’. Soon a dark sedan pulled up with a skid. The driver was a young man with sleek sports glasses on his shaved head. Two other backpackers were also in the car: Tom and Lisa, UK residents living in Berlin and travelling the Balkans. It was nice to have a conversation in English for the first time all day and the three of us soon were swapping travel plans and stories. After a 15 minute drive out of town, we arrived at a deserted house with dead grass. Our host marched inside, plonked himself on the black pleather couch and proceeded with verbal hostel ‘tour’ (featuring free weights, CD rack, pool and lounge room’). When I asked his name, I was told, ‘ah…um, Crazy’. ‘Um, okay, nice to meet you Crazy’ was all I could reply while trying to hide both the amusement and confusion in my voice. But my stay with Mr Crazy did not last very long. Only ten minutes later, after being banished to an empty, 25-bed dungeon dormitory and calling an emergency brains trust with Tom and Lisa, we all high-tailed out of Mr Crazy’s lair. The place was seedy, empty and in the middle of nowhere. But worse, the host was nuts: no eye contact, serious attitude, signs telling penniless backpackers that they had no right to complain… not quite the hostel paradise it seemed on the internet. Eventually, after trekking back towards town with heavy packs and humid air, we decided to share resources and split a luxury apartment by the river so we could swim, relax and feel secure. 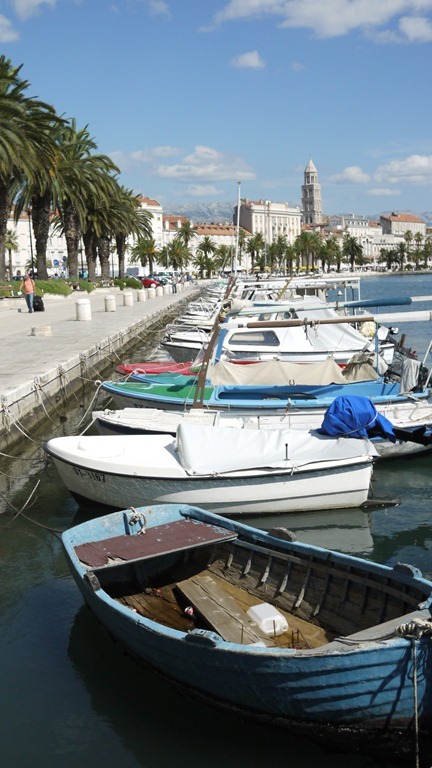 We all planned to head off the island on the 6am catamaran to the mainland city of Split and wanted to enjoy the small window of island time we had. Of course, then it began to rain. The wind raged across the island and, after braving the rain and cold to swim, there was nothing for it but a ‘home’-made stir-fry, a really big bottle of red wine and the curious company of two new friends. I do love the unexpected pleasures of travelling. Predictably, the early start this morning was not so easy. The three hour ferry to Split was a blur: grumpy luggage handlers, sleep, sunrise over the Adriatic, sleep, pushy middle-aged tourists, sleep, more sleep. And now I am in Spilt. Tom and Lisa said goodbye soon after arriving here and I continued on to the never-fun task of finding accommodation. Eventually, after map procuring, orientating, trekking, re-orientating and finally, negotiating, I found myself a hostel in the centre of town. I spent the afternoon swimming, eating (fresh tuna steaks and scallop risotto), drinking, reading, taking photographs of picturesque Spilt and being generally lazy. The hectic travel schedule and physical strain of backpacking is starting to tell stories on my body. 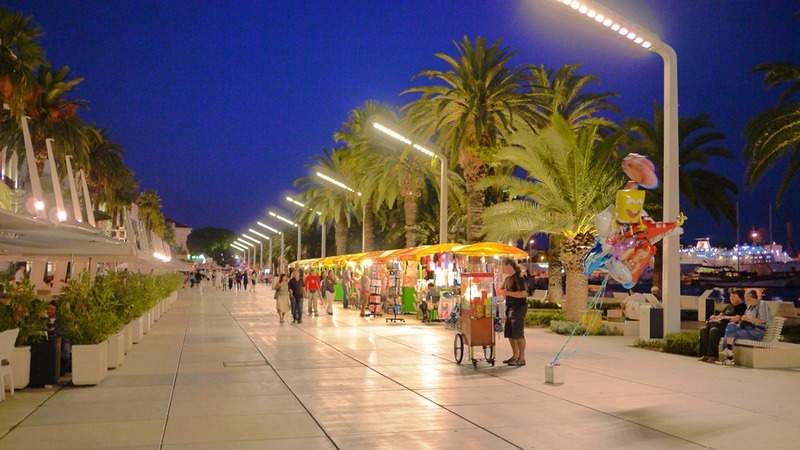 Therefore, I conclude, I deserve another day of beach-side bliss tomorrow before heading back to Zagreb.